One of a kind farm house on private lot, not in subdivision with a sep. detached complete 1 bed, 1 bath apartment w/ kitchen! 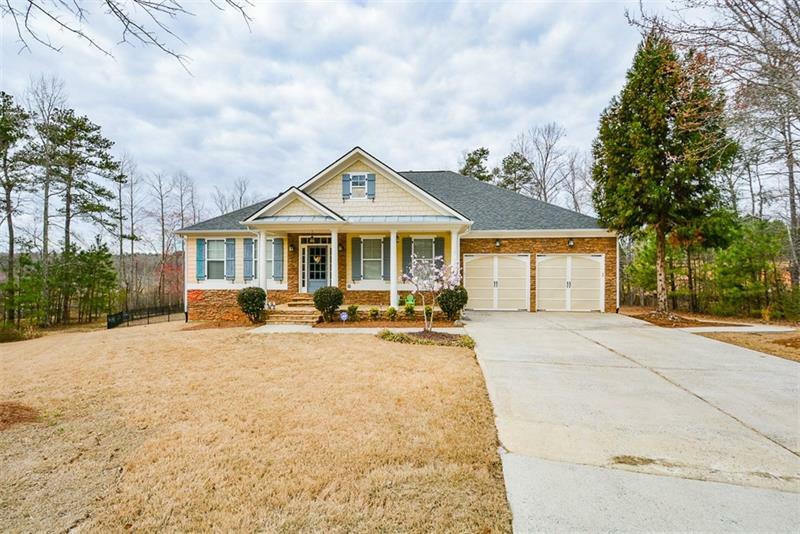 This charming home features wrap around front porch perfect for rocking chairs, grand entry foyer, large LR w/ hdwd flrs, bright country kit w/ eat-in dining area, sunrm, master on main w/ coffered ceiling, W/I closet w/ hidden panic rm, spa like bath w/ dbl sinks, custom tile shower, & jetted soaking tub, upstairs are 2 add'l bdrms & bath. Detached man cave/rec room w/ full ba & gym. Multiple garages/workshops inc. 1 RV/boat size. Fenced bkyd. 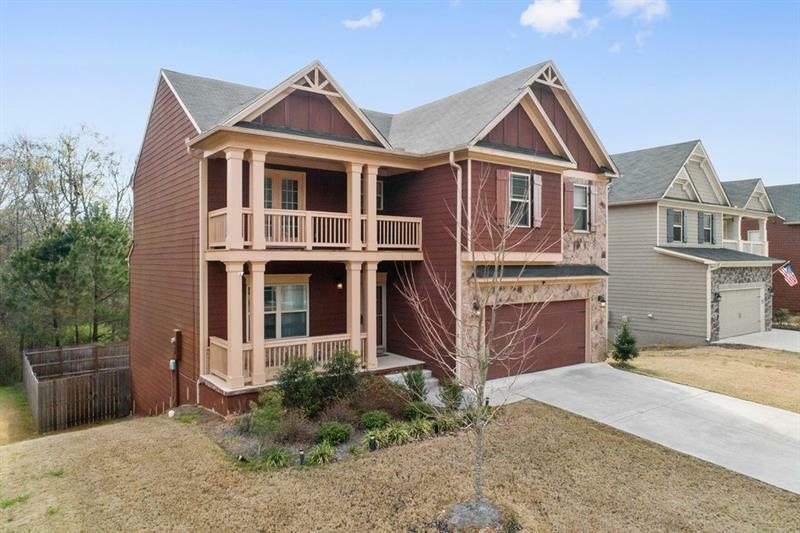 Take a look at this craftsman style dream home on full basement in sought after Stewart's Creek at Chapel Hill swim/tennis community. Rocking chair front porch, grand entry foyer, 2 sty great rm w/ flr to ceiling windows, cozy fplc, dream kit w/eat in area, W/I pantry, SS appl's, dbl oven, island w/ bar seating, formal DR, study/formal LR, 1 br/full ba on main, upstairs mstr ste w/ soaking tub & sep. shower, huge W/I in closet, 2 J/J style bdrms w/ ba in between, fin bsmt & already stub. for bath. 2 car garage. Lg pvt wooded fenced bkyd w/ deck & terrace lvl access. 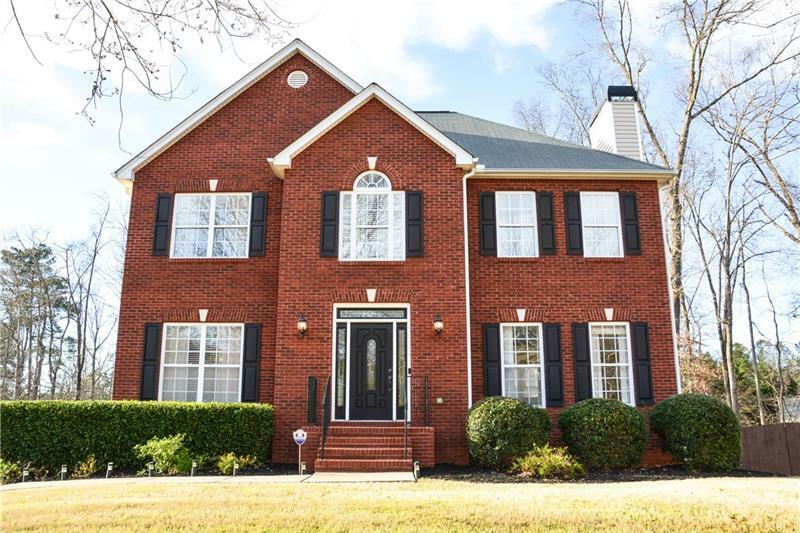 Beautiful home on quiet cul-de-sac in Mableton's Liberty Woods! Kitchen feat s/s apps, granite counters,oversized island. French doors open up to your study or formal dining rm. Spacious liv rm has wood-burning FP. Hdwds throughout main lvl. Master a true retreat including trey ceiling & dual closets. Spa-like master bath w/ dble vanity, jetted tub,& sep shower. Add'l bdrms well-sized & bright. Laundry up! Finished basement great for mancave or children's play area! 2 car garage! Lg deck overlooks fully fenced yard. Great location close to hwys, shopping, & restaurants. Location location location! This listing is for an assemblage of 6190 Ridge Rd, 6192 Ridge Rd, and 6194 Ridge Rd. 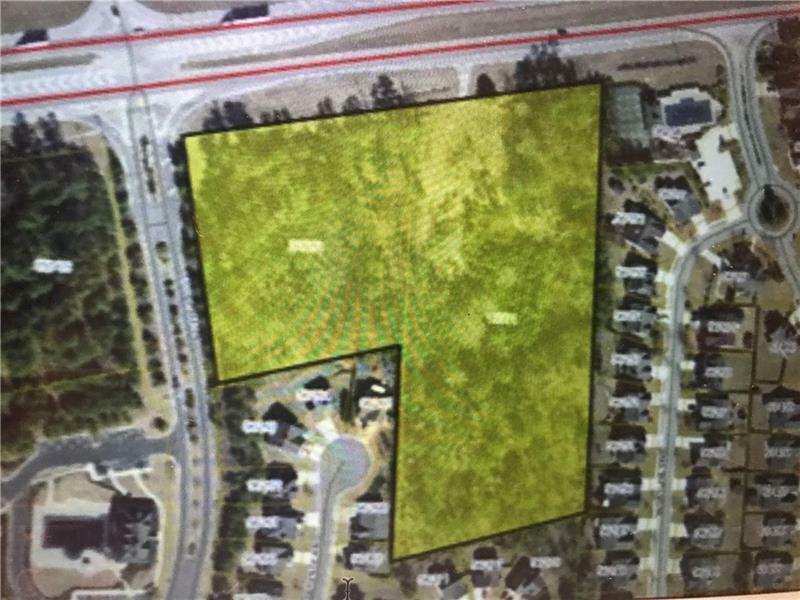 for a total of 4.01 acres combined. Property contains 1 livable home w/ in ground pool, 1 small house in need of demo or total renovation, mobile home in disrepair that is not being included in valuation, horse riding area, workshop. Perfect location for building homestead, small subdivision, or commercial business. Welcome to the highly sought after community of Dogwood Park, minutes from the Silver Comet Trail. This stunning home offers tons of upgrades. 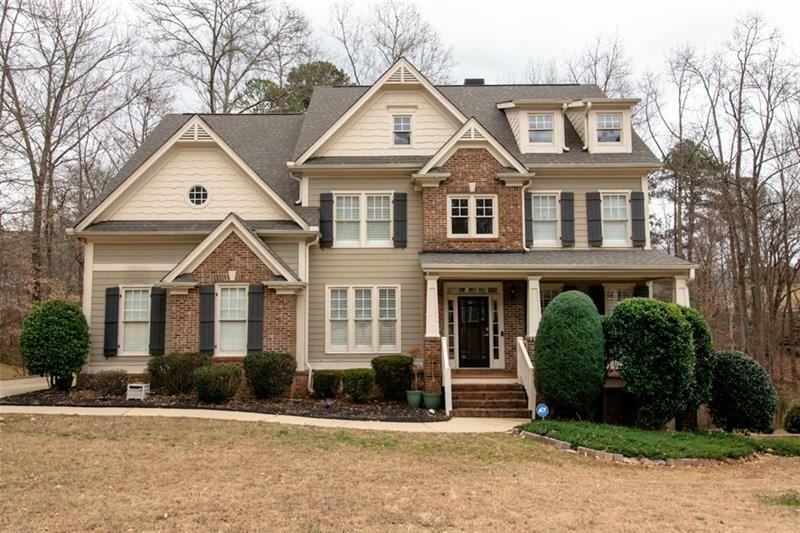 Formal dining w/ wainscoting, rich hardwood floors on the main, open concept kitchen w/ granite counter-tops & large island, 42" espresso cabinets w/ crown molding, & breakfast area overlooking family room w/ fireplace. Upstairs enjoy 3 spacious bedrooms & the master suite w/ sep. shower, garden tub, dual vanity, & large walk-in-closet. This well maintained home is just like new with an unfinished basement ready for your touch. 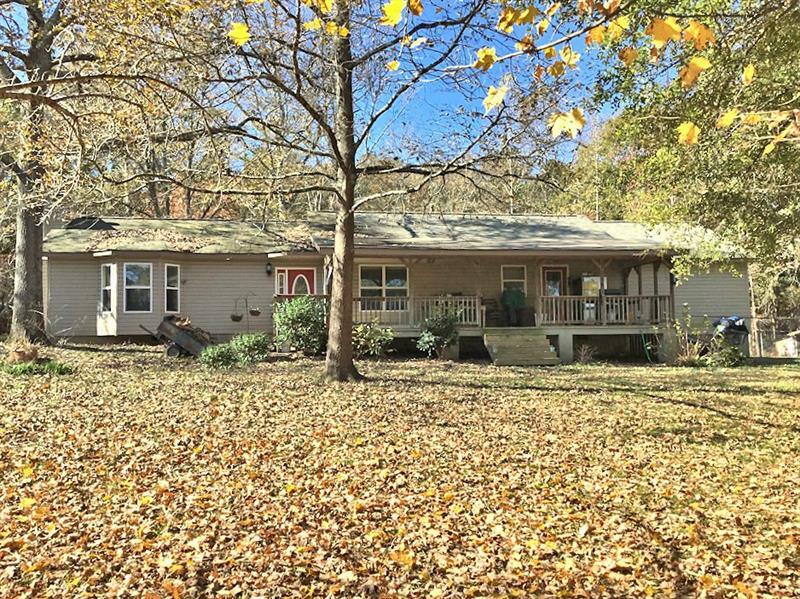 Beautiful 3 bedroom 2 bath stepless ranch home on 4 private acres. Home features large family room with wood burning stove, beautiful hardwoods floors ,updated kitchen with granite counter tops, desk area, walk in pantry and built in wine rack, huge master suite with walk in closet, balcony, and his/hers sinks, 2 generous size secondary bedrooms with jack & jill bath between. Outside features include rocking chair front porch, several out buildings , and a barn. 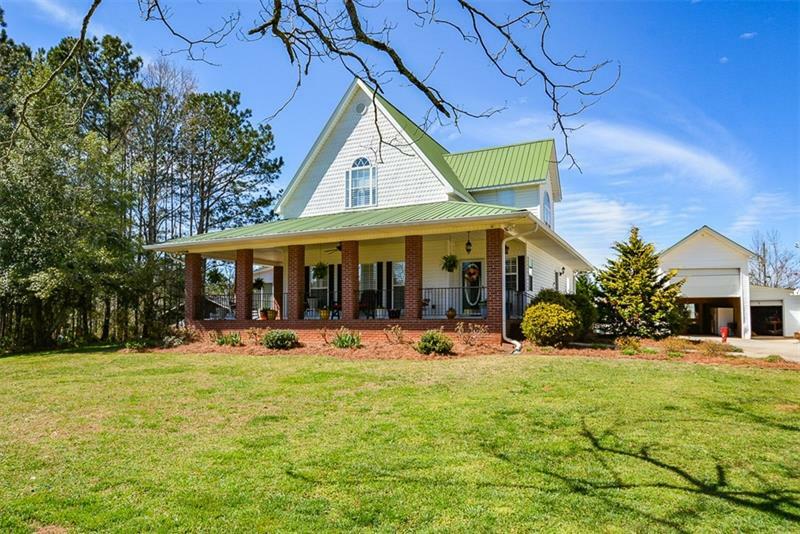 This home is perfect if you want privacy and a country setting! Gorgeous, well maintained 3 sided brick ranch with full basement on culdesac. Don't miss this opportunity THE PICTURES DO NOT DO THIS LISTING JUSTICE YOU MUST SEE IT IN PERSON!! 3BR/2BA, open concept, grand vaulted ceilings, lg unfinished bsmt perfect and ready to be finished as a wonderful terrace level. 2 car side entry garage. Beautiful molding in every room, new granite countertops in the kitchen, a fully remodeled 2ndary bathrm & much more. Min's from I-20, Arbor Place Mall, Wellstar Douglas Hospital & plenty of shopping and restaurants. Beautiful traditional home in quiet cul de sac. 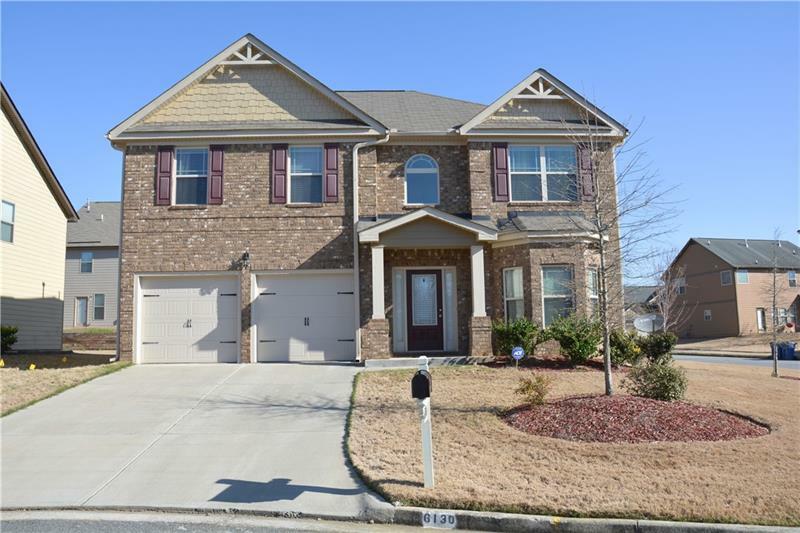 Great 2 story family plan with 4 bedrooms/2.5 baths minutes from Silver Comet Trail in Pool/Cabana community. Spectacular owner's suite and en suite separate 5' shower and tub plus dual vanities. Home has hardwoods on main as well as carpet in living room, and separate dining room. Formal dining room w/signature trim. Kitchen has 42" cabinets, pendant lit island, tile backsplash, granite countertops, plus breakfast area overlooking family room w/cozy gas fireplace. Welcome Home!